Hi there! We are a team of young, creative, and award-winning Bali wedding photographers. We are based in Bali, but we do travel worldwide for weddings as well. A Bali based photography and videography service. 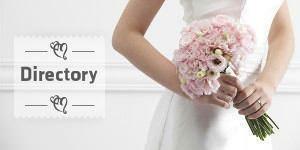 We provide wedding planning to sophisticated clients who want stylish, creative and beautiful weddings in Bali. All Bali Events provide both professional and personal service from private to corporate events, weddings, and other activities in Bali. Amazing, Memorable, Sophisticated Entertainment for your Wedding or function. Excellence in customer service. Bali Beverly Hills Villas and Spa offers 1, 2 and 3 bedroom villas with private pools and massage beds. If you are planning a night to remember, give your Bali wedding a personal touch with a live acoustic performance that your guests will love and remember. Royal Bali Weddings is the wedding organizer in Bali that specializes in creating an unique and beautiful wedding that reflects your personality and makes your dream wedding come true. A picture is worth a thousand words, and a video could be more than that. It consists of love, promise, memory, passion, and joy. That’s what makes them timeless and priceless at the same time, so we are here as a wedding photographer and videographer, capture it with art basic cinematography. Bali Dream Day is an event and wedding organizer in Bali that specializes in creating beautifully elegant weddings that reflect your personality and transform your dreams into reality. This is what makes a wedding organized by us so special.